Some call center experts are stressing on the importance of feel good factor that emanates when a customer gets in touch with the agent. If there is a “feel good factor” established even minor glitches can be overlooked. What modern customers look for is empathy from the agents. Their experience is marked by the flow of emotions at various stages of the conversation. They can be turned loyalists by the specific emotional moments rather than the overall experience. Psychologists state that a human mind catalogs experiences based on the intensity and nature of emotions. If the right emotional tunes are harped upon, a customer experience can be turned to a great one. Some experts even go as far as stating that customer satisfaction cannot be gained completely unless there is an emotional attachment between the agent and the customer. Research studies have revealed that purchasing decisions do not follow a rationale path. They are more of an emotional decision; a decision that can be turned in the brand’s favor only by proper engagement. It has been proved that the outsourced call centers in India which are able to build the emotional attachment with their customers are able to outperform other brands by a margin of 85% in terms of their sales growth. This is not a meagre figure! Show Emotionality: If you are looking to get close to the customers emotionally, than your tool should be empathy. Agents should be able to understand the expectations and feeling of the customers and then respond likewise. As you can see these small changes are not hard to implement. They can bring about a world of good in the end customer relationships. 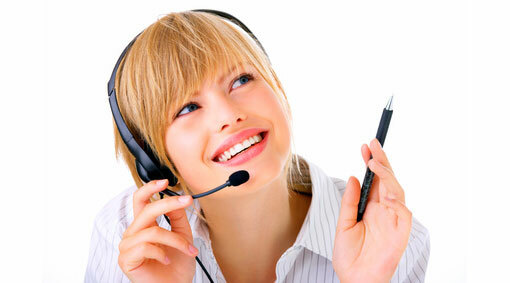 At Call Centers India we pay heed to the customer satisfaction and retention statistics. We adopt the required changes to the outbound, inbound, technical support processes which would best serve the brands.